Danielle is a top level hunter/jumper trainer with an impressive list of achievements and successes and over twenty years of proven training and sales expertise in the horse industry. 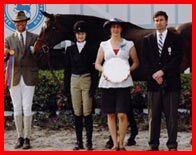 She has acquired a breadth of experience as a rider, trainer, and coach, having developed individualized training programs for horses and their riders, and helping them achieve their goals and a peak performance at the top levels. 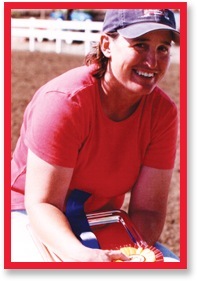 Her BS in Business Administration has served her well in managing the purchase and sales of investment horses, owning and operating her own hunter/jumper facility, organizing clinics and acting as manager in a variety of capacities related to road logistics for horse shipment, Thoroughbred auctions and operating professional horse facilities. She has been responsible for implementing marketing strategies, opening untapped sales opportunities and significantly increasing revenues and profitability in a variety of settings. Danielle is well-versed in the value of establishing key client relationships with personal customer service, providing leadership and utilizing innovative methods to resolve a myriad of customer service, human resources, and training issues. She possesses excellent people development skills, having evolved high standards for horse care, performance, policies, and training. She is extremely well organized and knows the value of working collaboratively with veterinarians, farriers, and other professionals. Danielle - and her two Corgis, Reese and Snickers - now call Southern Pines ‘home’. She is available on a freelance basis for lessons and clinics geared to both amateurs and professionals and offers highly individualized coaching for any rider wanting to get the best out of their riding and their horse. If you are interested in learning more about what Danielle has to offer, please contact her at 650.224.9957. Danielle has taken riders from their first horse show to winning in the Big Eq., Jr.
Hunters and Jr. Jumpers. She has also coached her students to championships at Devon, Harrisburg, Washington and the National.